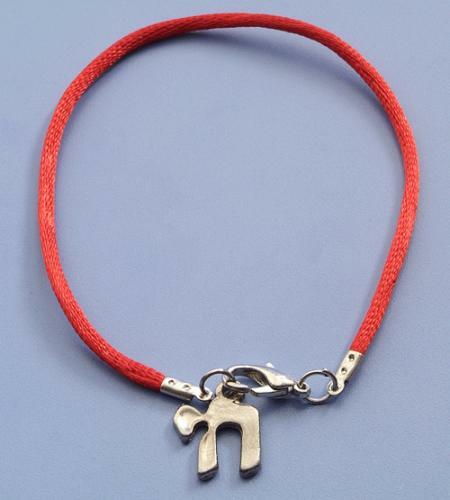 Kabbala Chai Red String Bracelet is a great gift for good luck and good future. Chai (18) , occasionally is a symbol and word that figures prominently in Jewish culture and consists of the letters of the Hebrew alphabet Het and Yod, all this with a contrast for the number 6 which is attributed with the "Satan". In the Hebrew language, the word chai spelled by these two letters means "living," is related to the term for "life," chaim, and also appears in the slogan "`am yisrael chai!" ("The nation of Israel lives! ", referring to all Jews). The Kabbala Chai Red String is a modest, yet most powerful gift.